When you think of Barcey’s, the delightful Bushwick cafe at 140 St Nicholas Ave (on the corner of St. Nicholas Avenue and Stockholm Street), don’t just think coffee! Serving some of the neighborhood's best, most flavorful coffee in town has helped Barcey’s make a name for itself in the Bushwick community since it first opened its doors seven years ago in 2009. But while the coffee is wonderful, you shouldn't forget the impressive full menu that Barcey’s has lovingly cultivated over the past 6 years. On one hot summer day, probably around June 2015, Bushwick photographer Chris Reid had the pleasure of shooting some of the menu items for the website, from tasty sandwiches to wings, and much more. After the hustle and bustle of standing on chairs and stools and kneeling and leaning over tables to get the perfect shot, Reid feasted on the house's offerings. It was his first time trying each of the menu items. "I was completely blown away with everything. It was so good that I started to eat many of the menu items on a regular basis," says Reid. Here are the dishes that have won the high praise from Reid and so many other diners—these sumptuous eats are not to be missed, Bushwick! 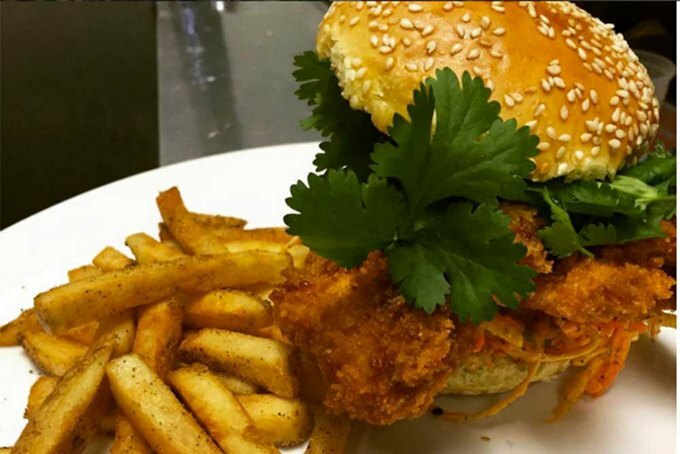 The chicken in the chicken sandwich is not oily or overcooked: it's moist and perfectly juicy! The asian-style coleslaw and the Japanese barbecue sauce it's served with are a perfect complement. The crab bahn mi is truly a one of a kind sandwich, rich and bursting in flavor. 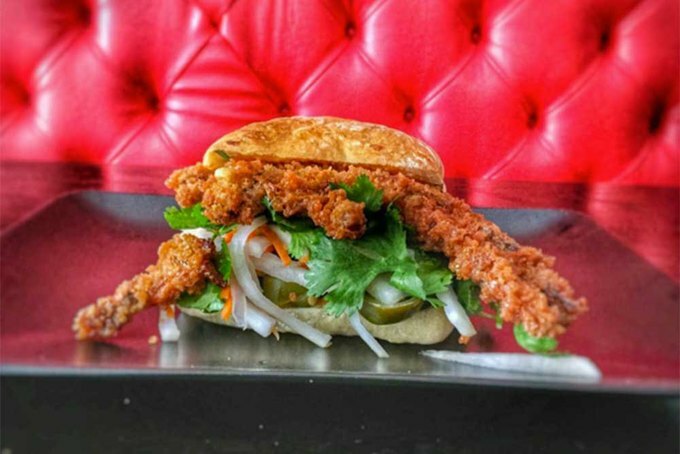 The light, crisp soft shell crab within the sandwich is topped with house pickles, cilantro, jalapeno and sriracha mayo and served on lightly toasted ciabatta. This sandwich is absolutely perfect for all the seafood lovers out there, but watch out—you may find that you crave this everyday! Few veggie burgers can hold a candle to the Barcey’s veggie burger. 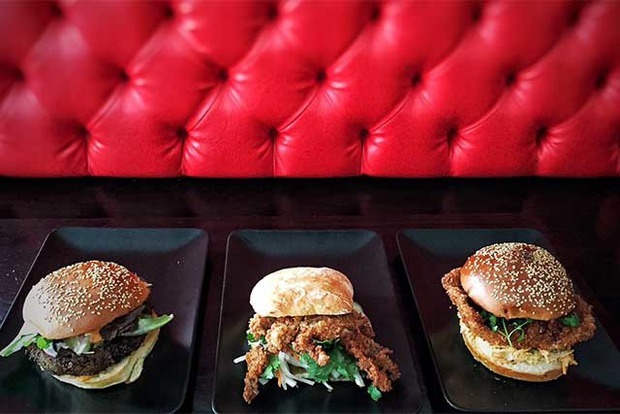 The consistency is perfect; from the first bite, it's immediately evident that the kitchen has spent a long time perfecting its veggie burger recipe to ensure that it's up to the house's exacting standards. 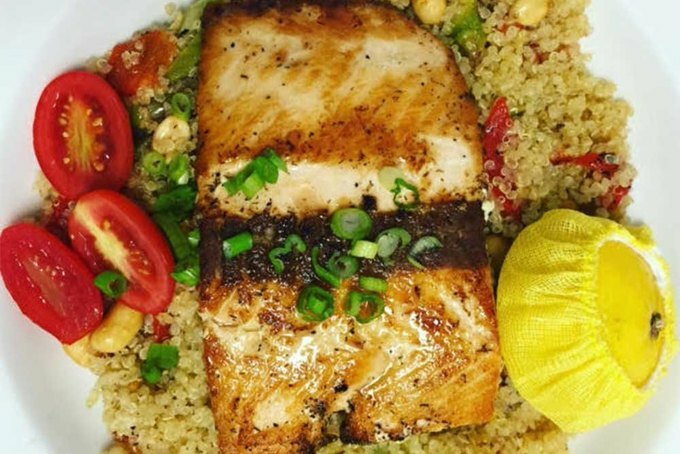 If you're seeking something hearty and fulfilling, opt for the salmon and quinoa dish! It's loaded with healthy fats and whole grains. The tomatoes in the dish add some great antioxidants, and some green onion and lemon add the perfect amount of punchy flavor to this dish! If you're a vegan ready to resign yourself to yet another spot without a plant-based entree, worry not! 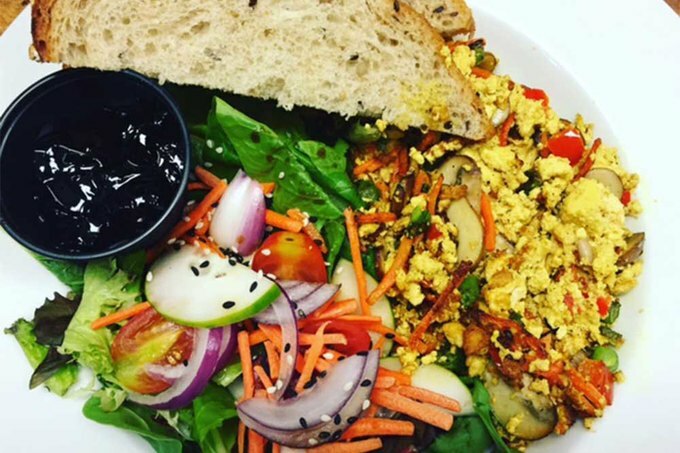 Try the houses' tofu scramble— it's loaded with delicious veggies and served with whole grain toast and a side salad for extra greenery, a combination designed make diners feel full and wholly satisfied! For carnivores who can make quick work of a solid piece of meat, Barcey's has two word: "Bulgogi. Burger." Talk about a savory meal! 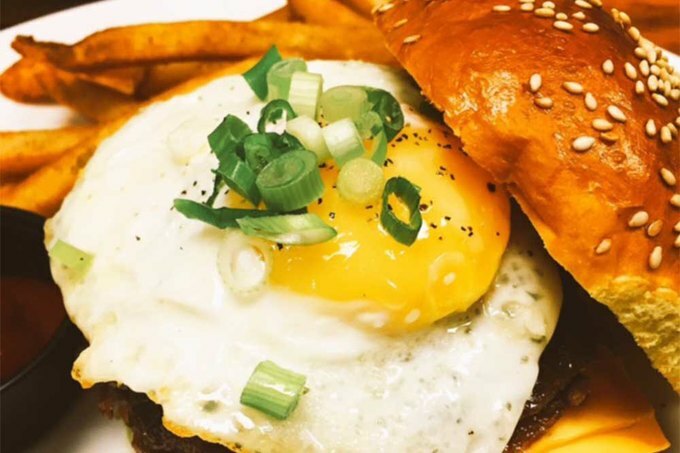 This burger is a work of art rendered in protein—and it's served with a fried egg beautifully layered on the toasted brioche bun! Pair this with the house-made fries for an unforgettable, hearty feast of a meal. 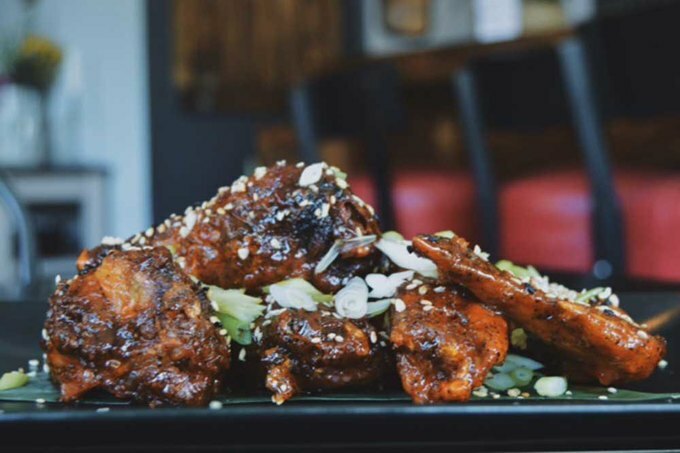 One of Barcey's biggest hits to date really hits home in both the sweet and the savory departments: Kimchi Wings!! This dish is perfectly tender, perfectly fried and perfectly sauced, and so it rarely stays on the table for long. 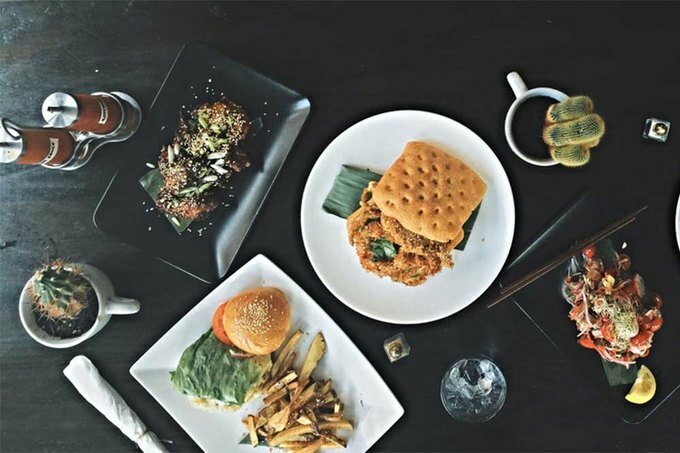 When you think of Barcey's, think of an eclectic new american cafe with asian flair that serves delicious coffee and also has some of the best handmade sandwiches in town, hands down. With its delectable daily menu that runs the gamut from mouthwatering brunch items to exquisite sandwiches for lunch or dinner, get out on this hot summer day and try one or all of the sandwiches at Barcey’s—you won’t regret it!